Dogs are faithful animals. Their loving and caring nature make them the most common household pets. They easily become a part of the family and tries to learn tricks and tips from his owner. This is sufficient reason for the owner to not only take adequate care of his dog, but also pamper as much as possible. After all man’s best friend deserves nothing but the best. Collars are probably one of the most important accessories for your dog. They set them different from stray dogs. Also, collars have identification tags can be very helpful in case your dog goes missing. Broadly collars are of two types, one used during training and the other to keep up with fashion trends. Nowadays, there are collars that can serve both the purposes. This is probably the most important criteria for getting a dog collar. The stature of a dog depends on the breed and build. Hence, some dogs have narrower necks while some have very broad necks. Getting a smaller collar will lead to choking and harm your dog. On the other hand, getting a bigger collar means your dog can easily come out of it anytime. It is also worth noting that in case of dogs with thick coats, the measurement should be done carefully, as the apparent size of the neck appears larger. As mentioned earlier, there are dog collars available for specified purposes. Some collars are made for more than one purpose. Old and well-behaved dogs and be put on light collars while energetic dogs require strong and heavy collars. For highly aggressive and untrained dogs, muzzle collars are the best to keep them on the leash. It is important to find a dog collar with the right material. The collar should be strong and durable so that your dog does not break out of it. At the same time, it should not pose as a burden or irritate their neck. Keeping up with the ever-changing fashion trend, various designs and colours of dog collars are available. You can easily browse through a wide range of fashionable dog collars from a dog collar boutique. Dogs are faithful animals and are amazing pets. However, it may be difficult to control a dog without training. Therefore, dog collars help in controlling your dog as well as serve the purpose of identification. You can now find dog colours that serve the purpose while being fashionable at the same time, so you can pamper your dog even while teaching him good manners. Pet animals are a part of the family. They can show love and affection in different ways. It is seen that most pet owners have a dog. After all, they are faithful and loyal creatures, who does not abandon the one who feeds and provides shelter. They gain happiness from bare minimum, but that is no excuse for not pampering your dog with various toys, clothes and other accessories. Any pet owner knows about the problems they face when they plan a trip or travel somewhere. They know that leaving their pet to the care of an outsider is not a good option. Some places do not allow you to walk your dog, even on a leash. In such scenarios the best option is to get your pet a dog carrier. This will allow you to take your pet in almost all places without you facing any problem. Dog carriers are common accessories and are found in many pet shops. Some look beautiful and trendy while serving its purpose. If you are comfortable with online stores you can look at a wide range of fashionable dog carriers available at The Posh Puppy Boutique. Here are some tips that will help you choose the perfect carrier for your dog. Dogs are living creatures and not some object that can be packed up. They need sufficient ventilation to get air from breathing and some light to make him feel less claustrophobic. Some manufacturers happen to overlook this vital point while making sure that they look good. Therefore, you yourself need to properly inspect the carrier and see if it suitable for your dog. Dogs differ from breed to breed. Some dogs are very large while others being very small. Get a carrier large enough to let your dog will be able to move freely and not feel stuck in one position. At the same time, it should not be too big or else you will find it difficult the carry your dog around. Dogs are quite powerful and might be able to break out of a carrier that is not durable enough. Also, a strong carrier will protect your dog from impacts. 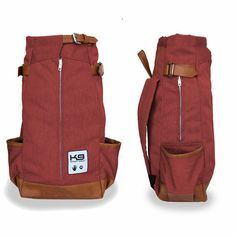 However, it must be kept in mind that the material used for making the carrier should be pet friendly and does not overheat when out in the sun. To keep up with the trend, many fashionable dog carriers are available for you to choose from. 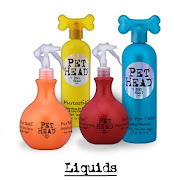 They give a smart and attractive look to your pet, making them up to date with the latest fashion statement. At the same time, such carriers look less scary and your pet will find it easy to adjust into it. If you love travelling in style then why should your pet dog be left out? Get your dog a carrier that is functional yet fashionable at the same time. It is the duty of a dog parent to maintain his pup’s safety outdoors all the time. This is where a set of collars, leashes, and harnesses is very important. It will ensure the proper training of a dog outside the house. They are unable to perceive what is good or bad for them. Their infinite curiosity often makes them suffer from consequences. Training them for outdoor ventures is very necessary. How to find the right designer dog collars? A dog parent often faces a dilemma while choosing the right dog collars for his furry friend. As the enthusiasm of the dogs grows, the necessity of a collar increases. This is where the designer dog collars will be the best choice for your pup. Straight from the house of experts, here are some tips for you to find the most suitable collars for your pup in this store. This is no brainer. Checking the size of a dog’s neck sounds very easy. The dog parents often make a mistake and forget to take the fur type into account. A collar might seem tight on the furry neck but might not be suitable as the grip will loosen when the dog pulls on it. This is why the dog parents must find the proper size before making a decision. Moreover, the size of the dog will also decide on a type of collar. A bigger dog will need a sturdier choice so as to ensure absolute safety and control on him outside. When you want to buy a designer collar, know the reason first. If your dog is old enough and well behaved, a lighter collar will do the trick. If the dog is young and energetic, you will need a strong collar with an ID tag. You should also know the activities your dog like to pursue outside. It is obvious that a water venture will need a nylon collar. A leather collar can be a perfect choice for a posh event or a walk in the park. You can also get thematic items such as collars representing the sports team you admire and support. It has been found that breakaway collars can be a tough choice for the dogs who behave violently. This unnecessary behavior will need a better medium for control. This is where the muzzle collars or choke collars fit in. These collars are specifically used to control and train a dog and wipe out his rough behavior. Sometimes, dog parents like to collect special collars for a special occasion. For instance, the sports-themed editions are bought when their favorite team is playing. The boutique offers a special set of collars and other items that contain the team’s emblem and official logo. The designer dog collars are the perfect choices for the dog parents. Now is the time to make a brilliant collection of such collars. Maintain your pup’s safety with these strong and durable collars. Have you ever thought that your dog is taking way more space on your bed? Have you ever pondered that your dog likes to sit on your favorite couch more than often? This might be the sign that this is the right time to find a perfect bed for him to cuddle with his plush toys and sleep. Research suggests that dogs like to sleep on your bed because of two reasons. They love you and want to be safe. The second reason is that they do not have a cozy corner to sleep at home. The dog parents will know how hard it is to make space for the dog and for themselves. It is a real struggle that needs a real solution. 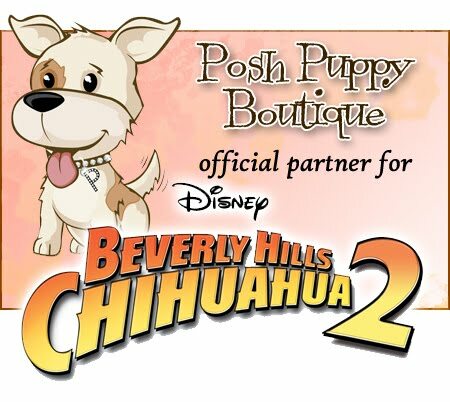 Welcome to the world of exquisite designer dog beds from Posh Puppy Boutique. These options will give you the best solutions for this particular problem. A warm designer bed, a nice blanket and a small corner in your home are what your dog wants from you. Here is the small glimpse of the huge collection you will discover in this online store. This is the latest design that will bring nothing but a lovely feeling in the onlookers. These cute little dogs come in the shape of cuddly blankets where the dog can easily enter and snuggle up to stay warm all night. A cuddle cup is made of plush material designed to keep the dogs warm. It is an excellent choice for all kinds of breeds. These beds can be easily washed and reused. It comes in various colors such as black, golden, faux fur, pink, lynx faux fur, cream, chinchilla faux fur, etc. This particular design has an elevated boundary with a small depression for the dogs to enter. The design is extremely popular among dog parents. These beds are ideal for senior dogs. You will find micro-plush, faux fur, micro-velvet, memory foam, and other varieties in this segment. These beds come with beautiful covers where the dogs will find extreme comfort and safety. These beds come with comfortable cushions and meshed cover. The smaller breeds will find these beds a perfect choice. The novelty beds come in different shapes and sizes. This is the cutest collection of designer beds that will make your interior shine more. The most popular shapes of these beds are pineapple, crown, watermelon, chestnut, cactus, mushroom, hedgehog, cupcake, tree stump, etc. The furniture style beds come in the form of luxury shapes that can be easily matched with the interior of a posh house. This novelty edition will give you the most prized designs trending in the market. You will also find an outdoor furniture section with a beautiful selection of wooden house beds. Apart from the above-mentioned items, you will find more designer dog beds in this online store. Get the best options for your little pup and make his nap time more enjoyable.